Finding a good flick in Melbourne isn't difficult. Twenty years ago it was a choice between Hoyts and Village (and there's nothing wrong with those), but now you've got dozens of boutique and indie cinemas popping up all over the city. It feels like anyone with a rooftop, a projector and a King Size bed sheet can be a theatre owner. 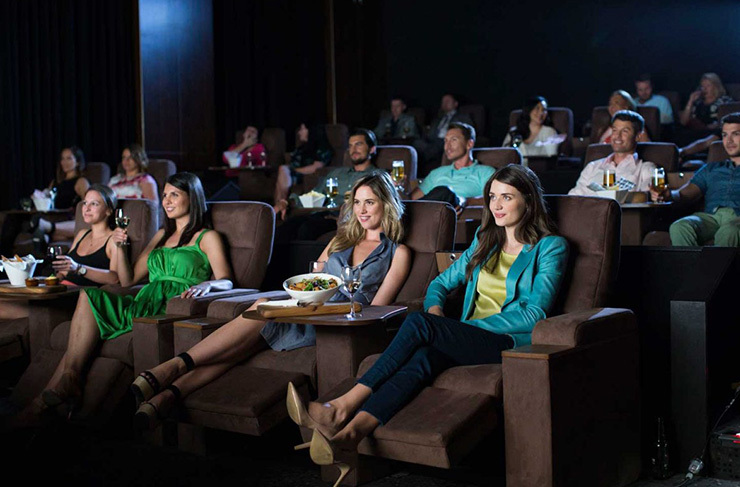 Whether you're after arthouse, blockbusters or another showing of The Room (BYO spoons), here's our pick of Melbourne's best cinemas—just add popcorn. Known as Melbourne's premier home of quality arthouse and contemporary cinema, Cinema Nova has been a Lygon Street mainstay for more than two decades. Nova was born in 1992, and has grown over time to now include 16 cinemas. Put simply, if a film's worth seeing, it’s showing at Nova. On any given day you can expect to catch anything from Hollywood flicks to the latest indie releases, as well as a great range of documentaries and even late-night screenings of cult favourites. Who's up for watching The Room again? Anyone? Upgrade your evening with a ticket to Nova Deluxe for some in-cinema dining, opt-in for the high tea experience on Saturday and Sunday afternoons, or join in on a Meet The Filmmaker session to get inside the minds of some of your faves. Plus, Nova is within walking distance of a whole bunch of top-notch Carlton eateries. Win—win. 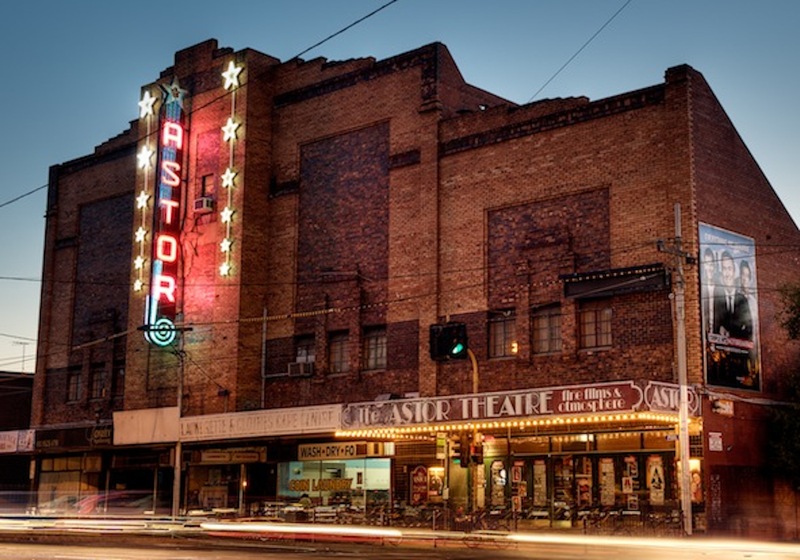 The Astor Theatre has had some close calls (tears were shed when this iconic St Kilda theatre shut its doors for what appeared to be the final time a few years ago). But fortunately it's since resurrectedected by the folks over at Palace Cinemas. Built in 1936, this cinema is almost worth a visit entirely for an ogle at the Art Deco architecture. 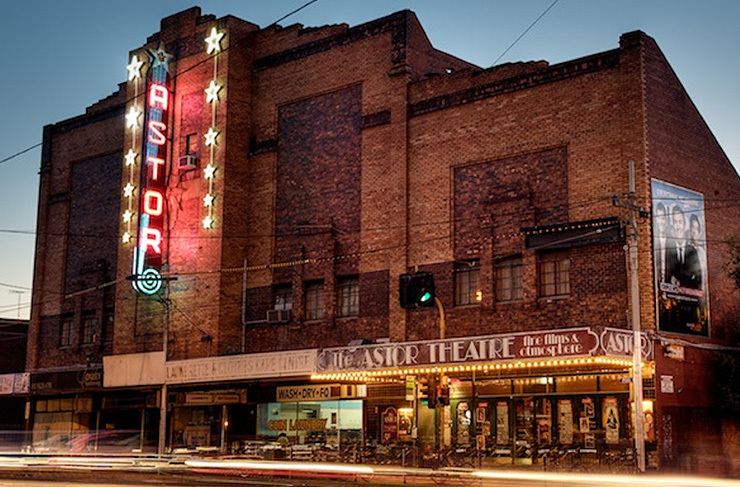 But I mean, while you're there, might as well catch a flick—and when it comes to the Astor, there's no shortage in variety. Catch a double-feature of A Clockwork Orange and Full Metal Jacket one night, and a showing of Isle Of Dogs the next. Plus 2001: A Space Odyssey is almost always screening. Wild. PRO TIP: Tickets are cheapest on Mondays, Wednesdays and Thursdays. Discounts over three days? That's our kind of happy hour. If aesthetics matter to you, there's no more beautiful cinema in Melbourne than Palace Westgarth. Formerly known as The Valhalla, Westgarth has occupied the same spot on High Street, Northcote since the late 1980s. It's had some work done in the past couple of years (a $4 million facelift, in fact, to tighten up some of those wrinkles), but still retains its trademark Art Deco features throughout, including eye-catching plush carpet and a grand sweeping staircase heading to two upstairs cinemas. 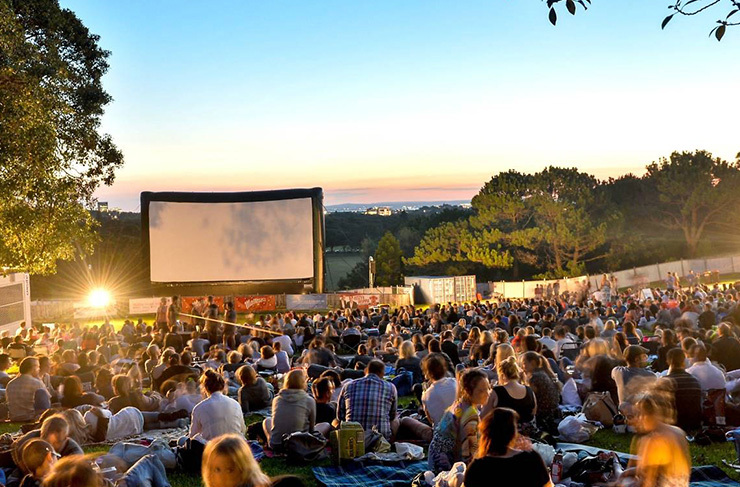 We suggest checking out the outdoor cinema too, where you can catch all the recent hits as you unwind with some well-deserved bubbles...maybe bring a blanket during the winter months. Fed Square's Australian Centre for the Moving Image (ACMI) isn't necessarily for your casual film fan: you won't find the latest superhero adaptation on the big screen here. Rather, ACMI is a celebration of all things cinema, TV and digital media. 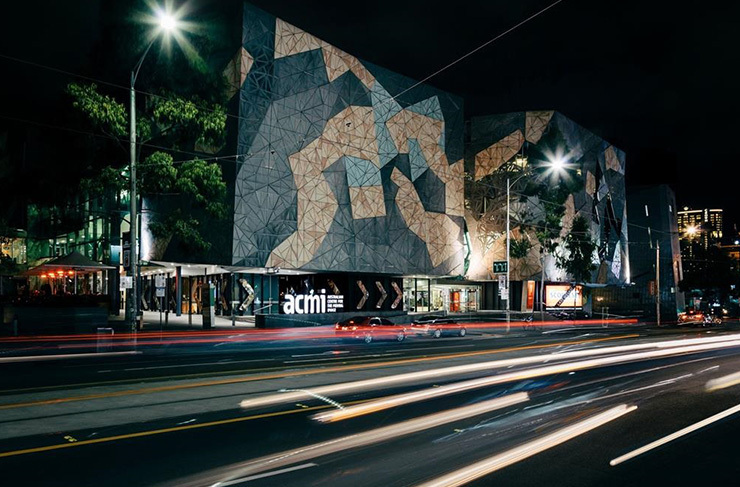 Across several large screens (complete with some of the comfiest seats around), ACMI serves up a diverse range of foreign films, documentaries and ‘in conversation’ events with creative types. At the moment, you can even catch a screening of Alice Is Everywhere, as part of their Alice In Wonderland exhibition. Plus there's also a great gift shop where you can score everything from A Clockwork Orange t-shirts to Parks and Recreation greeting cards. Another of our favourite Melbourne cinemas, Kino Cinema is a bit of a jack-of-all-trades. Whatever you're into—be it new releases, foreign films, documentaries or special events—chances are you'll find something to suit you here. Kino boasts seven cinemas, each with plush seats and wall-to-wall screens, and an even better candy bar stocked with handmade choc tops, healthy choice popcorn (cooked in olive oil), local and international beer, and some surprisingly good wines. It's also responsible for many a city worker or student calling in sick on Mondays, when all tickets are just $8.50. Kino regularly hosts forums, Q&As and film festivals, and even offers discounted car parking in the underground carpark for ticket holders. 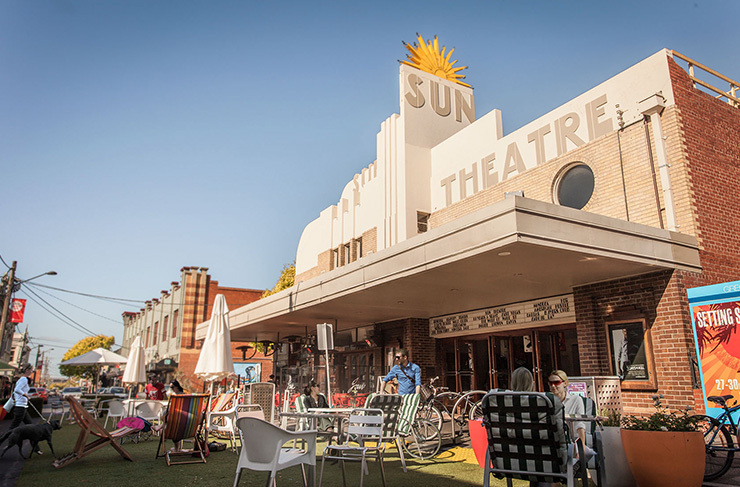 Yarraville's Sun Theatre has a pretty rich history. The cinema first opened in 1938, and has gone through a bit of a remodel. Gone is the 'pram room' where parents could leave their babies for some downtime (contacted via cinema screen when they were being...challenging), and in its place are six boutique screens, each named after local landmarks like The Barkly (a defunct Footscray cinema) and The Grand (the last cinema to close in Footscray). The Sun's owners pride themselves on the building's original Art Deco architecture and ample leg room for patrons—plus coffee tables to rest your popcorn. Talk about attention to detail. New releases and classics dominate the schedule, and wine connoisseurs will be thrilled with the Sun's famous wine cellar. Catch 2001: A Space Odyssey here, too (what is going on with that movie?). Smack bang in the middle of Hawthorn is Lido Cinemas. The brainchild of Eddie and Lindy Tamir, who redeveloped Elsternwick's Classic and Belgrave's Cameo, the Lido features eight screens—including a rooftop cinema. Okay, so not ideal for the current climate, but keep that one in your mind for when Summer comes back around. Expect a diverse collection of blockbusters, arthouse films and foreign language flicks, as well as a welcome emphasis on Australian cinema and various festivals. Plus, live jazz on Friday and Saturday nights. We said it was diverse. PRO TIP: Head down on Tuesdays for 'Treat Yo' Self' prices of $7 before 4pm, and $9 in the evening. Considering a ticket usually costs around 20 bucks and your first born child, we know where you'll find us on a Tuesday. And on Wednesdays, join in on 'Weird Wednesdays' where they show some true B-move gems. Just remember, anything goes on Weird Wednesdays. 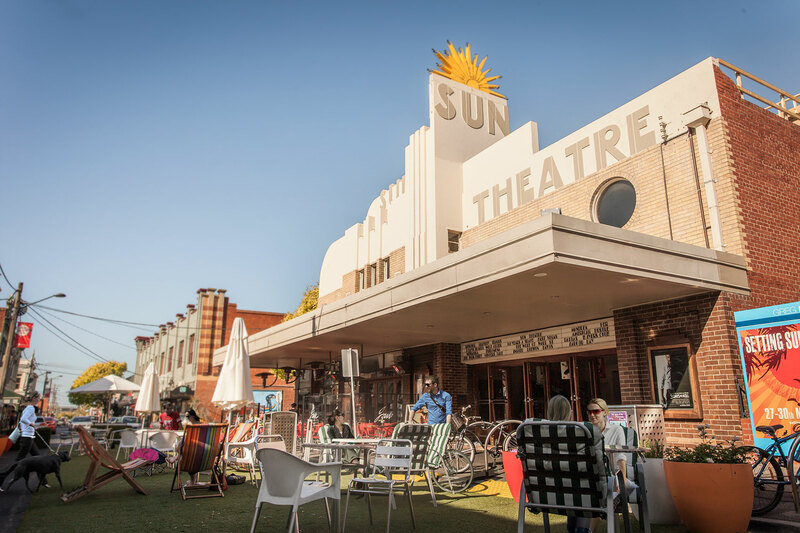 Perhaps Cameo Cinemas' famous outdoor screen—and an awesome place to spend a balmy summer's evening—isn't much use in winter, but fortunately the Belgrave venue still includes five indoor cinemas. The Cameo originally opened in 1935, and had several owners along the way. Over the decades it's become known as an icon of the Dandenong Ranges, and its original Art Deco features still hold their own. Plus, members get $4 house wine on Thursdays. Not bad for the 'burbs, hey. And, guess what: 2001: A Space Odyssey is showing soon. (In a true feat of investigative journalism, we've solved the mystery—it's the film's 50th anniversary of its first screening). The new kids on the block, Thornbury Picture House opened it's doors in 2018 in the most Melbourne setting possible—an old 1919 motor garage. Because where else would you build a boutique cinema? It's got just under 60 cushy seats, one big screen, and a whole lotta street cred (and an onsite bar, of course). Catch the latest blockbusters plus a curated mix of local works from small-time Aussie film-makers getting their foot in the door. So you'll even be able to say you knew that director before they were famous. What more could you ask for? Palace sure are getting a good run here—and Cinema Como is a clear example why. Six big screens, a plush foyer and a bespoke bar, this cinema has those little touches of luxury your couch at home just can't provide. Catch all the recent flicks alongside a whole range of international films when you're wanting that extra touch of culture. One thing about Palace Como—the age demo is probably skewed towards the Early Bird Special crowd. Don't be surprised if you bump into Nan at a cheeky matinee. But for ritz, glam and drinking craft beers in the cinema, you can't beat it. Dinner tip: head across the road to Shadowboxer for a classy date night double feature. Again with the Art Deco architecture. The Rivoli theatre in Camberwell makes going to the movies feel like a proper special occasion. They're always showing a bunch of contemporary and arthouse films, meaning there's a little somethin' somethin' for everybody—plus, a rooftop bar (with heaters and umbrellas for Winter). We're in Melbourne, afterall. I'm pretty sure it's a criminal offence not to have one. After the show, wander up Bourke St for some late night wines—there's plenty of good spots to choose from. Speaking of rooftop bars...(that transition wasn't even planned, we're just that good). 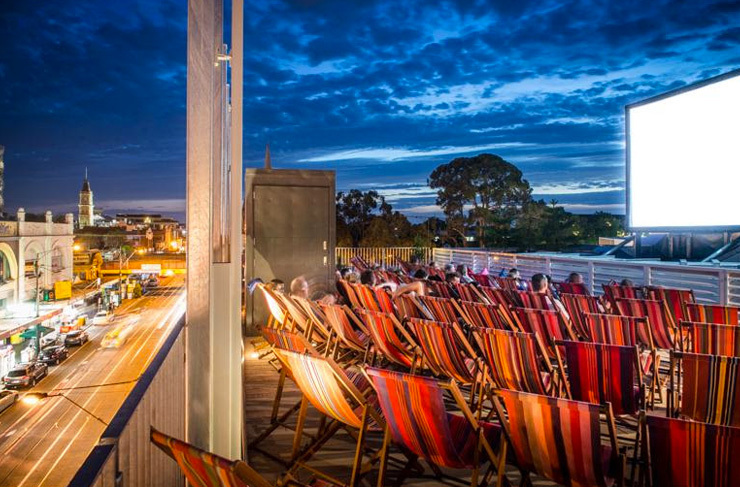 Rooftop Cinema is just one more reason to look forward to Melbourne summer. It closes up shop in the colder months, but when December rolls around, the roof of Curtain House in the CBD transforms into a cult movie theatre, screening everything from recent blockbusters to old favourites, with the bonus of great views over the city and some tasty cocktails. Pulp Fiction and Ferris Bueller always get a good run. Tickets tend to sell quick for this one—don't expect to just rock up on the night and grab your seats. One last tip? Get in early. There's no allocation, and if you arrive with 10mins till screen time, you'll be stuck way up the back. Moonlight Cinema runs through Summer in the Botanical Gardens. Hundreds of picnic blankets take over the sloping lawn, down to the lake, and a huge inflatable screen rises over the trees. If you want to do it in style, definitely upgrade to Gold Grass—you get a comfy beanbag that really saves the vertebrae. Moonlight pros know that there's no shame in bringing blankets, pillows, a thermos full of tea, picnic baskets and maybe even your couch. Those movies go for a long time, and you don't want to be lying there propped up on your elbows for 2.5 hours. From right up high to way down low, Melbourne has its fair share of drive-in and outdoor cinemas for those of us not too keen on heights. We're lumping them together at the moment, but each hold their own charm, earning them a spot on this list. The Dromana drive-in is a peninsular icon (trust us, you can't miss its vibrant yellow colour as you drive down), while the Lunar drive-in over in Dandenong is a little more...understated in its appearance, but bigger in size. In fact, it's the largest drive-in theatre in Australia. How's that for good old Dandy! And of course, there's the Coburg Drive-in—a frequent appearance over here on the Urban List with their many themed events in conjunction with Food Truck Park. How can we go past such a lux viewing experience as Hoyts provides (geddit?)? Yeah, sorry about that one. Anyway, back to Hoyts LUX—who doesn't want to combine your new fave film up on the big screen with a fine dining experience? They've even enlisted the help of Manu Fiedel to help out with some of the menus (oozy chocolate fondant and fried chicken anyone?). Plus, extra leg room. Yes please. Don't make us choose between the two! Unless, you know, either Hoyts or Village wants to shout us a couple of trips to test out their services...In the name of research, of course. Village's answer to LUX, Gold Class is that fancy film experience you dream of as a child—and as a big child. Reclining chairs, waiter service, a gourmet menu. I mean, what's not to love? Good one for anniversaries. The Mansfield Arm-chair Cinema, that is—time to throw a regional selection into the mix. Now this one isn't super fancy, but it does have some fantastically huge beanbags to sit on (or a reclining chair if you're worried you're not going to be able to get out of the beanbag. Which, very valid concern). Plus, you can get your snacks and drinks delivered to you in the cinema rather than getting stuck waiting for them outside—and that includes glasses of wine. That come with lids. Head to this one for the novelty alone, and stay for the good times and quality flicks. Again, this cinema is not fancy, and it's not trying to be. It's a little daggy, it's cash only, and the website is definitely channeling early 2000s vibes (we love it so much), but that's all part of it's charm. Plus, movie tickets are $10 and under. Penny pinchers who don't mind missing super cushy seats, this one is for you. We'll see you in line. Trying to avoid screens for a while? Peruse through our list of 100 Things To Do In Melbourne and see if something tickles your fancy.